OiiOAviation.com – the global aircraft market online – was launched in 1998. 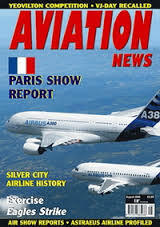 It features advertising for business aviation & general aviation aircraft for sale which are also advertised in OiiOAviation Magazine and GA Buyer Europe print & digital magazines. OiiOAviation.com lists aircraft for sale from the two biggest aviation markets: the global private jet/business aviation market plus the general aviation aircraft European market. Our philosophy is to link aircraft buyers & sellers quickly and easily. We give buyers access to reliable information provided first–hand by the seller. Many of whom are brokers and dealers who have been working with OiiOAviation.com for over 15 years. To send an e-mail or call our sales team, contact us. The global business aviation market includes these aircraft for sale categories: business jets, turboprop aircraft, and turbine helicopters. If you are looking to purchase business aircraft or a private jet; why not sign up for the Weekly Business Aircraft Alert which lists the the latest business aircraft for sale which have been listed on OiiOAviation.com in the previous 7 days. The European GA categories are single piston, twin piston and piston helicopters for sale. If you are looking to purchase piston aircraft, why not sign up for the bi-weekly Piston Aircraft Alert which will keep you informed of the latest piston aircraft listed for sale in the last two weeks on OiiOAviation.com. Business Aviation Intelligence : OiiOAviation.com publishes the latest articles from OiiOAviation magazine online and in a digital edition. Our editorial director is Jack Olcott, former president of the National Business Aviation Association (NBAA), the world’s largest Business Aviation lobbying organization and the world’s foremost expert on Business Aviation. Written by industry’s experts, OiiOAviation covers topics such as business aircraft product reviews, Jets for sale reviews, trends and market analysis, comparative analysis for new and used private jets, business aircraft tax, finance and legal advice and much more. And for the latest news from the business aviation community please follow OiiOAviation.com on Twitter, Facebook and Linked In. Responsive Format: As so many users are on the go and searching via their smartphones and tablets, the whole site –some 50,000+ pages has been rebuilt to provide a great user experience however users search. More editorial online: Each month we will publish the latest articles from OiiOAviation magazine online with extended online editorial in some cases, plus blogs from a host of new writers. We hope this will help our readers and buyers of aircraft keep up to date with the latest opinions and enable them to make the best decisions when buying or selling private jets or business aircraft; or taking their aviation business forward. Improved Aircraft for Sale Search: Buyers of business or general aviation aircraft can search by manufacturer or aircraft type. 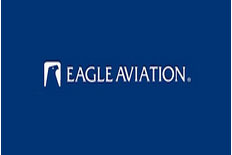 For every model there are the latest aircraft listings for sale, plus where we have the information, performance data courtesy of Conklin de Decker, price guide details provided by Aircraft Blue Book and pilot and owner reviews written by our readers and users. And all our pages have been optimized to build on our hundreds of top 3 rankings on Google.com to bring our advertisers even more traffic. Dealer Search – For those looking to buy an aircraft through a dealer, our advanced search includes the opportunity to search for aircraft dealers who speak their language, plus full details of their current inventory, locations and aircraft wanted. Improved Advertising Opportunities: Our aircraft for sale listings include links to full specs of aircraft for sale, 4 photos per advertisement and video where available. Plus for display advertisers there are new banner ads to advertise their aircraft products and services within new category specific landing pages such as “Jets for sale” or “Avionics for sale“, plus new opportunities to advertise around our insightful and topical editorial. The Aviation Directory on OiiOAviation is a comprehensive listing of aviation products & service from aircraft manufacturers, finance, avionics, and refurbishment to wheels & tyres. It has a new feature for premium advertisers offering them the opportunity to advertise 5 special products or offers per month on their Supplier page and the Special Offers page. These offers will also feature on the OiiOAviation home page and the Aviation Directory home page. Sell My Aircraft: Advertisers can book the complete aircraft for sale advertising package online – their ad will go online immediately, appear in the next print and digital edition of their favourite aviation magazine – and in the next e-mail alert. OiiOAviation.com is part of OiiOAviation Limited who specialize in aircraft publishing and aviation events such as Aero Expo and the Elite London. You can find the answers to your most frequently asked questions here. If you can’t find the answer to your query here, please contact Emma, our Online Administrator on 1-800-620-8801 (US Only) or +44 (0)20 8391#####. Sell My Aircraft Q] Which magazine issue will my advert appear in? Providing you place your advert before the copy deadline your aircraft will appear in the next issue of the relevant magazine. You will be advised of the edition in your confirmation email. Q] How do I pay for my advert? Sell My Aircraft adverts can be paid for securely online using a credit or debit card through WorldPay. Q] Should I pay VAT on my advertisement? VAT at the UK rate of 20% should be paid on advertisements by sellers living in the UK or members of EU countries who do not have a VAT registration number. You do not need to pay VAT if you live outside of Europe and/or the European Union or you can provide a valid EU registration number when booking. Q] Can I make changes to my advert after it has been booked? You can make changes to the online version of your advert at any time by logging in to your account and clicking the Edit button next to the relevant advert. Any changes will also be reflected in the printed copy of your advert provided they are made before the Copy Deadline for that publication. Q] Live / Pending / Expired – what’s the difference? Pending Adverts are those which have been created but not yet booked and paid for. Live Adverts are those currently live online and due to publish in the print & digital editions of the magazine booked. Expired Adverts have run the course of the advertising period paid for an are now inactive. Q] Why isn’t my aircraft showing on the website? There are a number of reasons your aircraft might not be showing online. Your advert may have expired or your original payment might not have been successful. Additionally we reserve the right to take down any adverts which we suspect infringe on a 3rd party’s copyright, are offensive or in any way unsuitable for placement on OiiOAviation. Q] What contact details will be made public when I post my advert? Your email and postal addresses are always kept private and will never display directly on the website. However the phone number you have chosen to associate with your aircraft advert will be displayed online. 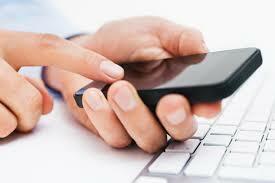 In print both the phone number and relevant email address will show so that potential buyers can get in touch. Q] Which language should my advert content be in? You may use the language of your choice for your advertisement. However, most of our users have English as a first or second language so your ad may be understood by more readers if you provide your aircraft information in English. Q] How do I cancel an advert? Q] Can I change the email address the alerts are sent to? Yes, please contact our online administrator and we will update our records. Q] How often will I receive an email alert? Our Turbine Aircraft Alerts are sent weekly on a Monday and the Piston Edition every fortnight on a Thursday. Q] The emails aren’t reaching me, what should I do? If you aren’t receiving our Aircraft Alert emails, please contact our online administrator and we will look into the issue for you. Q] How do I unsubscribe from OiiOAviation emails? At the bottom of every email sent there should be an unsubscribe link that will automatically stop future emails from being sent. Magazine Subscriptions Q] How do I pay for my subscription? Magazine Subscriptions can be paid for securely online using a credit or debit card through WorldPay. Q] When will I receive my first magazine? As soon as we received your subscription you’ll be added to our live circulation to receive the next edition of the magazine. Both OiiOAviation and GABuyer Europe magazines are published monthly so you should receive your first edition with 30 days of subscribing. Q] How do I check/change the address for my print subscription? Your magazines will be delivered to the address found in the ‘Your Details’ section of My Account, found on the left-hand side of every page. You can change the address by clicking the ‘Edit’ button and updating the information we have stored for you. Q] How do I cancel my subscription? If you would like to cancel your print subscription you can do so at any time by contacting the Circulation Manager. Unfortunately we aren’t able to offer any partial refunds for subscriptions that been placed. Q] Can I order back-issues? Due to unpredictable supply we aren’t able to offer an online facility for ordering back issues, but if you contact our Circulation Manager directly we may be able to send you the back-issue you’re interested in as part of a new or existing annual subscription. Q] I’m having problems with subscribing online, is there another way? Q] Do I have to pay for access to the digital editions? No, we’re pleased to say that access to the Digital Editions of our magazines is free. 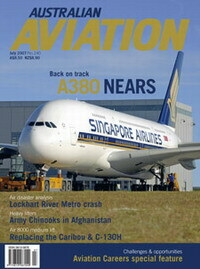 Sign up to OiiOAviation Magazine and GA Buyer Europe. Q] How do I know when a new issue is available to read? Each time a new issue is published we’ll send you an email with a link to access the Digital Edition. These Digital Editions emails also include a summary of that issue’s content and a one-click un-subscribe option. Q] Which devices can I access the digital editions on? You can read our Digital Editions across a range of devices from desktops to smartphones and tablet devices. Most popular devices and platforms are now supported and we’re expanding the list all the time. Q] Can I read back-issues? 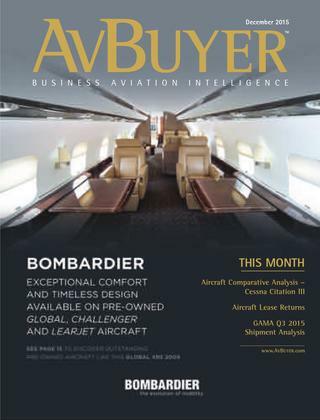 You can access Digital Edition back-issues from the OiiOAviation, GABuyer pages. At the moment our digital magazine archives only goes back to the start of 2012, but we’re hoping to add in previous years over the next few months. Q] How do I sign up to the digital magazine or alert? Simply click on the digital magazine or alert that you want to sign up for. Once you have clicked the button, your status message will show ‘Subscribed’ in green. Q] How do I unsubscribe from the digital magazine or alert? Simply click the ‘Un-Subscribe’ button for the relevant magazine or alert.Your status bar will then show ‘Not Subscribed’ in red. Please note: we will remove you from our mailing list, but depending on the date that you unsubscribed you may still receive one mailing. 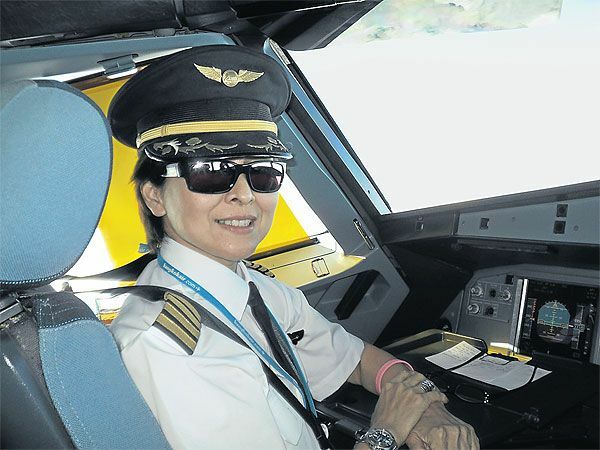 The content of OiiOAviation is meant to be informative and interesting but by its very nature is general. This is a dynamic site with information supplied by customers, suppliers, contributors and colleagues and as such OiiOAviation cannot make any representation or warranties as to the accuracy, completeness or validity of the information provided. As such OiiOAviation cannot be held liable for any loss arising from reliance on anything set out in this site, even errors or omissions. Furthermore, any transactions undertaken on or through OiiOAviation shall be at the sole risk of seller and purchaser. For a full refund, cancellation must be made within 24hours of the aircraft listing being loaded on the site on the day the transaction. For example, if an aircraft is listed on a Friday, cancellation must be made within 24hours of the aircraft being listed. We reserve the right to edit or remove (without prior notice) incorrect information or aircraft in the event of a dispute between sellers. We also reserve the right to remove aircraft that are not clearly identified, this is to avoid duplication of aircraft. Dealer administration access: We reserve the right to remove dealer access rights to OiiOAviation.com. Aircraft allowance limits can be changed without notice and are set relative to the advertisers current advertising commitment. If you believe someone is abusing our system, please notify us. If we believe anyone is abusing the admin tool, or OiiOAviation.com in general, we reserve the right to remove access rights. Want to Sell Your Aircraft?